The much prominent attraction in Warangal, Bhadrakali Temple, was established by Pulikesi-II of Chalukyas Dynasty in 6th century. The Kakatiya rulers worshipped Goddess Bhadrakali as their “Kula Deivatha”. Even though, in course of time, as the rulers changed, the temple has lost its importance, and the temple is vital attraction in Warangal. It is located in the center of the city. 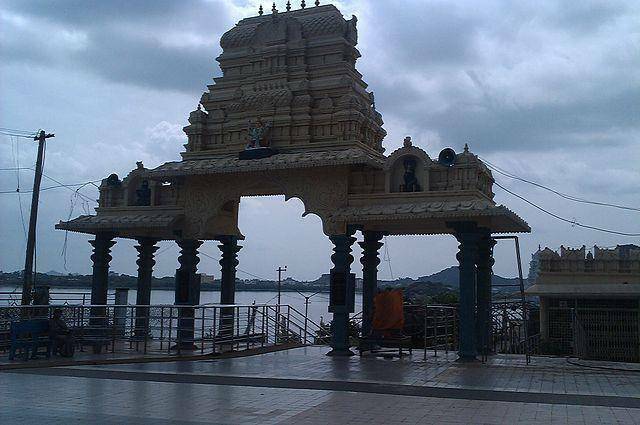 The lake nearby the temple was establksihed by a prime minister of Kakatiya dynasty. The main deity of Goddess Bhadrakali is carved out of single stone. In the sitting posture, the Goddess has fierce eyes and widely spread eight hands holding eight different weapons. Devotees believe the Goddess is very powerful and fulfills all their wishes.